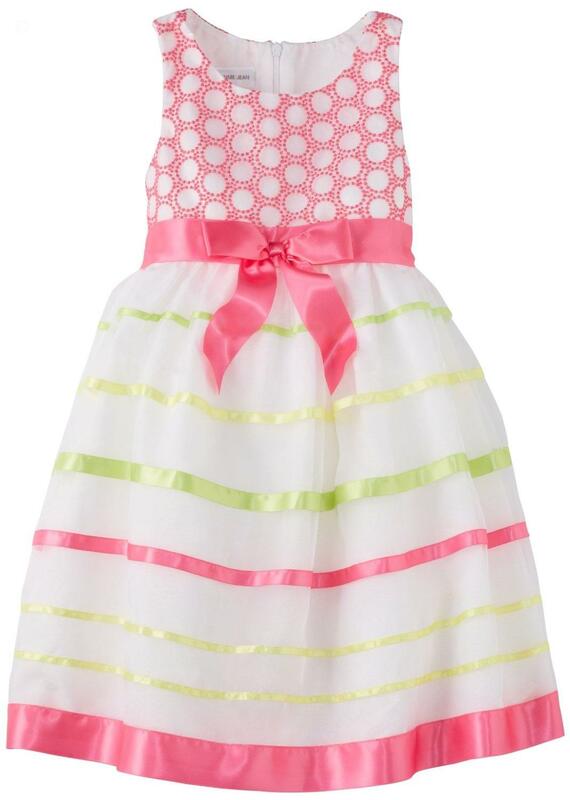 Have you decided what your little girl should wear for this year’s Easter? Check out some of these fabulous choices for babies and toddlers! From beautiful contemporary florals, traditional and non-traditional outfits to classic prints, we have all types not just for Easter, but for any spring or summer occasion as well. Here are some of the outfits we’re pretty sure you and your little Princess would really like. 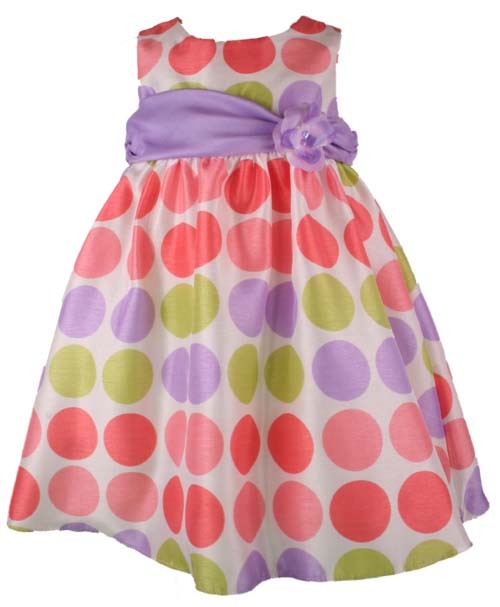 A colorful polka dot dress like this one is perfect for spring and summer events. 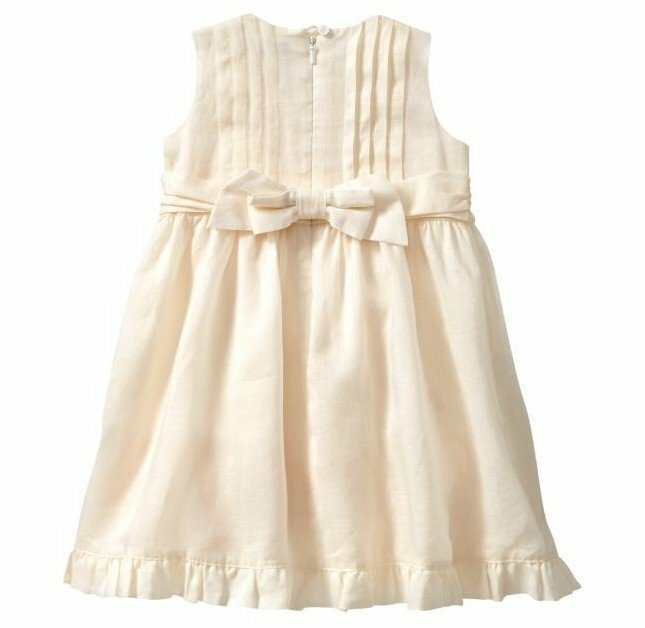 Choose a dress that is lightweight so your little girl wouldn’t have to irritated and annoyed with the heat throughout the day. She can pair it with pink, peach or white shoes and bead accessories. 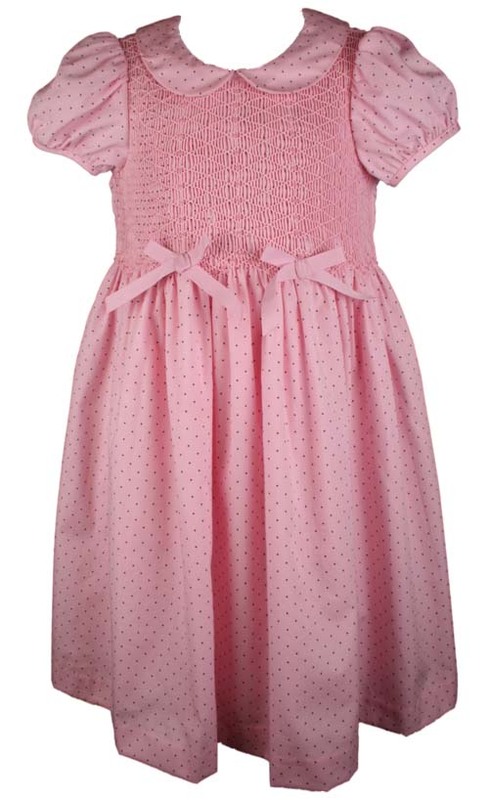 How about an adorable smock dress with bows, polka dots, cap sleeves and a peter pan style collar? 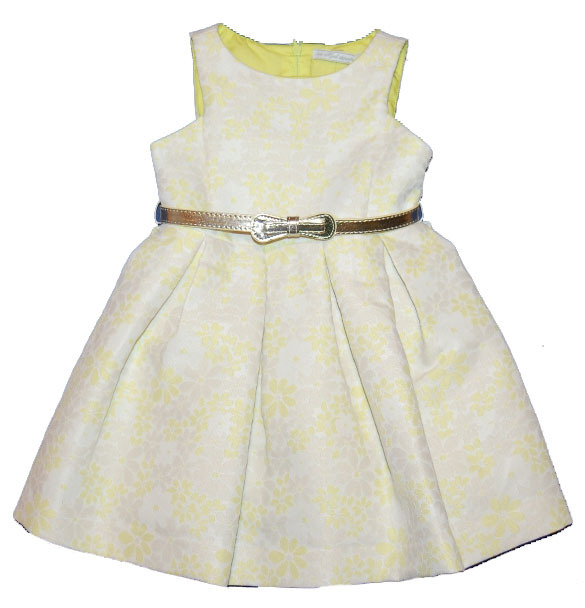 Your little one could also wear this dress to school and any type of social occasion. Her shoes should be white and shiny with bows. Pearls are absolutely stunning with this dress. 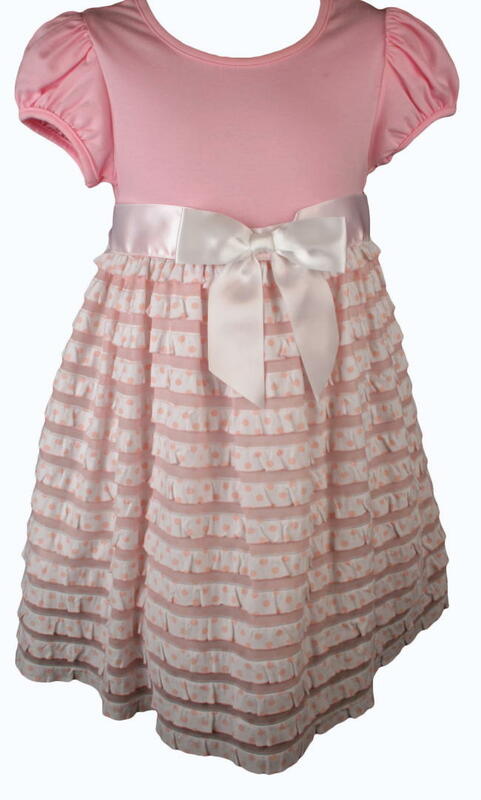 Another all-pink dress we’re sure she’ll love. It looks so soft and comfortable with all that chiffon ruffles and polka dots. Ideal for sweet little girls. Put her hair in a beautiful bun with a nice hair band. Pink with fun patterns featuring colors. This is also perfect to wear for those annual family photos. A ribbon tied to her hair is perfect for sunny days. An exquisite traditional and quintessential print yet modern dress that could be worn for any type of summer occasion. It looks sweet with the subtle yellow prints. She could wear sandals with this dress. Either white ones or a flesh-colored pair. 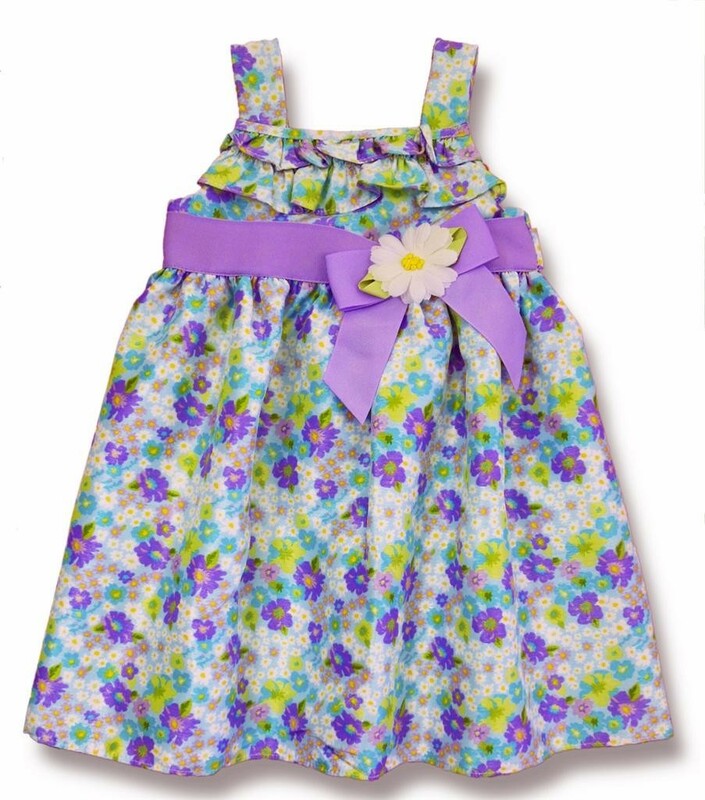 Here’s a beautiful floral dress with mix of purples, blues, greens and yellows. 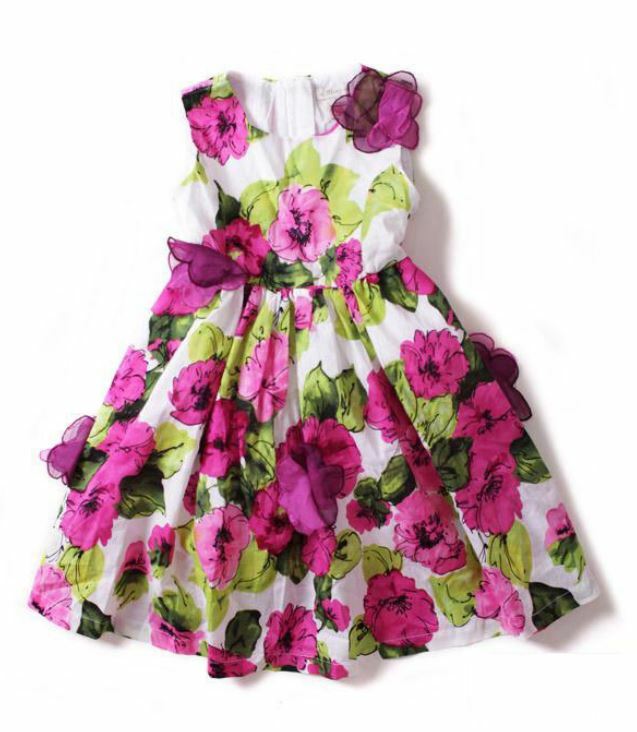 A gold necklace or bracelet would look lovely with this charming dress. 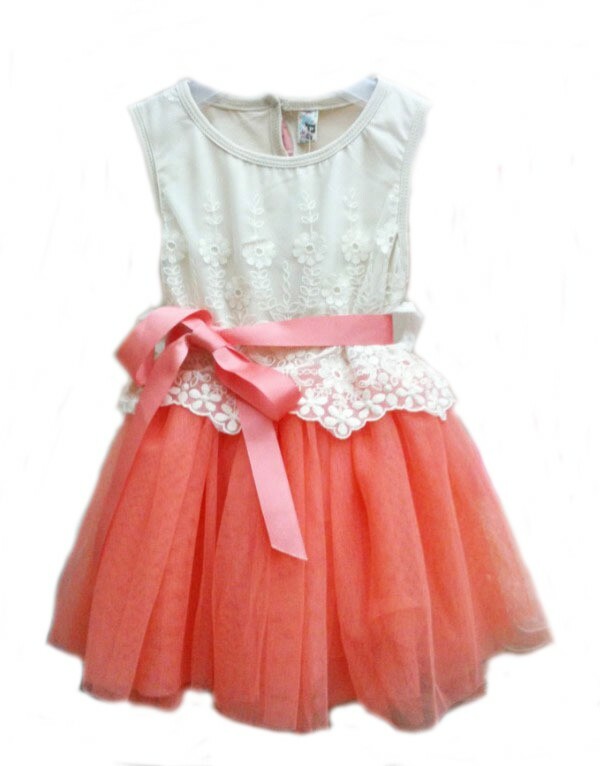 Who wouldn’t love an enchanting pink dress with patches of pink flowers on it? Add a gold or Swarovski hair band for the perfect springtime look. You need to have an elegant white dress in her wardrobe for super special occasions. Find a beautifully made sheer dress with a petticoat for added cuteness. For footwear, opt for white shoes with an inch of heels, or it could be sandals. White top with peach tutu – summer vintage. Pair it with ballet flats. 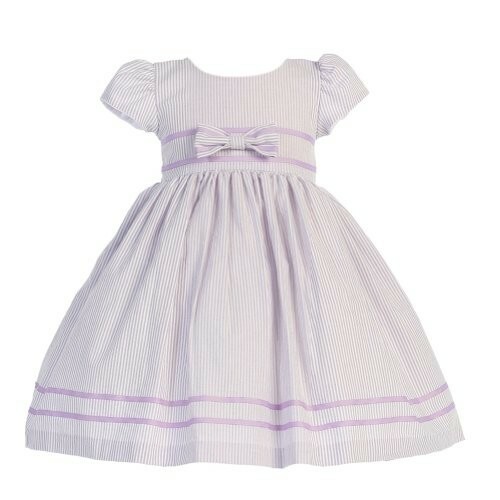 Here’s a pretty lilac stripe dress with short sleeves. You can pair it with white Mary Jane shoes with ruffled socks or stockings and have her hair in endearing curls.